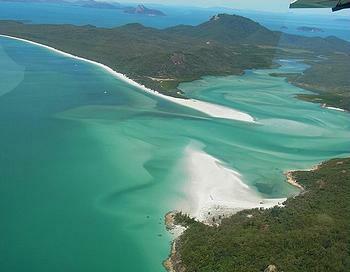 CANBERRA, Australia, June 7, 2012 (ENS) – The UNESCO World Heritage Committee has issued a warning to the government of Australia that the Great Barrier Reef could be listed as World Heritage in Danger within eight months if new coastal and port development continues. In documents released ahead of the World Heritage Committee annual meeting June 24 to July 6 in Saint Petersburg, Russia, the committee says the “Outstanding Universal Value” of the world’s largest reef is being compromised by: liquified natural gas and other processing facilities and associated infrastructure, port facilities and dredging, tourism developments, aquaculture and agricultural developments, mining and extractive industries, transport infrastructure, pipelines, water treatment facilities and water supply infrastructure, and residential developments. “Considering the high rate of approvals over the past 12 years, this unprecedented scale of development affecting or potentially affecting the property poses serious concerns over its long-term conservation,” the committee said. The Great Barrier Reef report was issued jointly by the UNESCO World Heritage Committee and the International Union for the Conservation of Nature. The IUCN recommended immediate listing of the reef as World Heritage in Danger. “While these issues are complex, we are committed to addressing them through a range of approaches both on land and in the marine environment,” said the environment minister. But the Australian Greens, who form part of the governing coalition, called the UNESCO report “explosive.” They are outraged that the crowning jewel of the Australian coast is being degraded. The UNESCO State of Conservation Report and draft decisions on the Great Barrier Reef are “a slap in the face for the federal and Queensland governments, who must now stop their dredging, dumping and shipping frenzy to avoid the international embarrassment of a World Heritage in Danger listing within eight months,” the Greens said in a statement. “This is the strongest possible report from the international World Heritage experts, and it backs what the Greens and the community have been consistently calling for – that our Reef should not be treated like a coal and gas highway, have its guts ripped out by mass dredging, and be used as a rubbish tip for offshore dumping,” said Australian Greens environment spokesperson Senator Larissa Waters. Gladstone Ports Corporation is dredging the harbor to allow for two liquefied natural gas plants on Curtis Island. Local fishermen and environmental groups blame the dredging for the appearance of sick fish and other marine life. 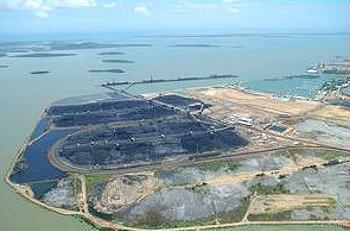 “The World Heritage Committee has said there should be no new ports, no new development approvals before the strategic assessment of the Reef is completed, that independent science is needed into the Gladstone Harbour environmental crisis, and that the Reef is on track for World Heritage in Danger listing within eight months unless the Australian Government reverses its program of destruction,” said Waters. Inscribed on the World Heritage List in 1981, the Great Barrier Reef on Australia’s northeast coast is the world’s largest collection of coral reefs, with 400 types of coral, 1,500 species of fish and 4,000 types of mollusc. It encompasses feeding grounds for the endangered dugong and nesting grounds of world significance for two endangered species of marine turtle, the green and the loggerhead. It is an important breeding area for humpback and other whale species. The reef system, extending to Papua New Guinea, comprises some 2,900 individual reefs covering more than 20,000 km2 (7,722 square miles). Some of its 600 continental islands have towering forests and freshwater streams. 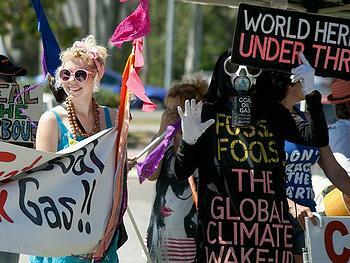 Much of the concern involves coal development in the Galilee basin in central Queensland. Greater shipping capacity is required to meet the needs of nine mines proposed for the area, seven of which would be bigger than any other mine in the country, according to Greenpeace Australia. 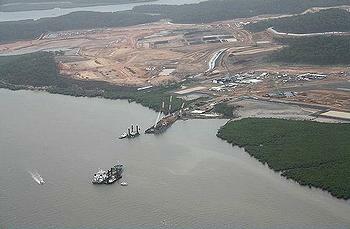 The Queensland government, under its new premier, Campbell Newman, approved the first of these mines on May 29. Premier Newman said his government is aware of the issues raised in the World Heritage Committee’s report but puts economic development before environmental protection. A new public opinion poll covering the entire east coast of Australia asking people if they support the current dredging of Gladstone Harbour for industry development showed support for the project. Released June 1, the Newspoll Market Research poll surveyed 17,311 people. Among those aware of the Gladstone port expansion, 49 percent said they are in favor due to the economy, jobs and trade, while 29 percent said they are against the project. Pointing out that every coal-laden vessel departing existing and proposed ports at Gladstone, Hay Point, Abbot Point and Cape York passes through the World Heritage Area, Greenpeace calculates that up to 10,150 coal ships would traverse the World Heritage Area by the end of the decade if the proposed Galilee basin coal mines are developed. 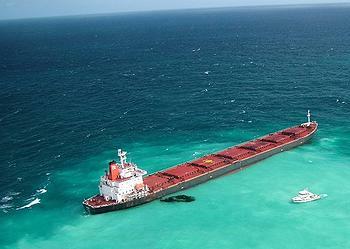 This compares to fewer than 2,000 coal ships in 2011. Roche criticized the “State Party report” provided by the federal government to the World Heritage Committee on February 1 as “extraordinarily misleading” and said its development forecast for the reef included cancelled projects and projects outside the reef boundaries and counted one project twice. The World Heritage Committee identified as a “central issue” that there does not appear to be consistent or specific recognition of Outstanding Universal Value in plans and decision taking processes. Outstanding Universal Value is the criteria on which properties are listed as World Heritage by UNESCO. The program aims to halt and reverse the decline in water quality entering the reef by 2013, and to ensure that by 2020 the quality of water entering the reef from adjacent catchments has no detrimental impact on the health and resilience of the property. Information provided to the committee by the Queensland government shows nitrogen runoff from regulated farms has been reduced by 14 percent since 2010. Funding for the program runs out in 2013, but still, the World Heritage Committee says that considering “the overarching importance of water quality to the reef’s health, it is indispensable that the current level of investment is sustained beyond 2013. “It is further essential to reduce development and other pressures as much as possible to enable an increase in the reef’s resilience to adapt to climate change,” the committee warned. UNESCO says the “in danger” status could be imposed if the Australian government does not give the World Heritage Committee evidence of substantial progress by February 1, 2013.